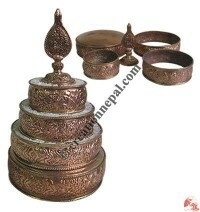 As an exporters of Nepalese handmade Buddhist ritual products, Creation Nepal butter has varieties of light offering butter lamps, water offering prayer bowls, grain offering prayer Mandala in different colors and sizes. 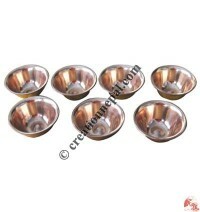 Check us the following offering butter lamps and other pooja accessories that are very important for Buddhist rituals at great prices. 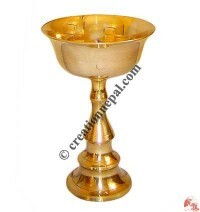 Creation Nepal: light offering butter lamps, Buddha offering bowls for prayer - shop online ! 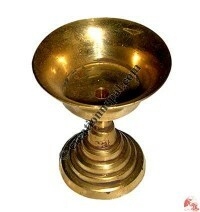 If there is a Buddhist temples and monasteries, you can see the offering butterlamps as the inseparable properties . 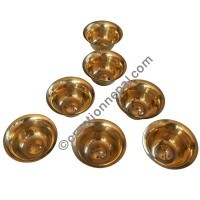 It is said that one can accumulate merit through offering butter lamps to the prayer. 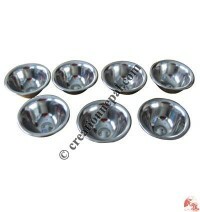 The benefits of offering butter lamps in Tibetan Buddhism considered as a good method to overcome from the obstacles and helps to focus the mind into the inner light for self realization. 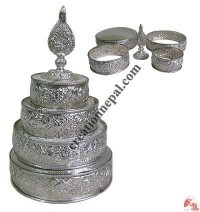 Creation Nepal offers unique and beautiful carved Tibetan butter lamps, beautiful looking Buddhist symbols engraved grain offering mandala, melong, water offering jar Bhumpa, and offering bowls. 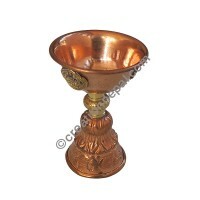 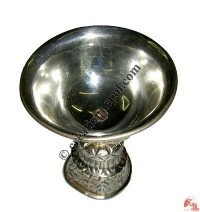 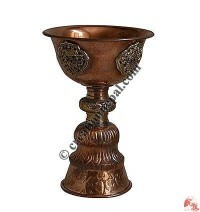 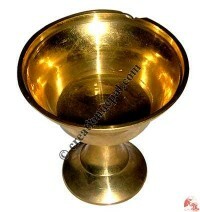 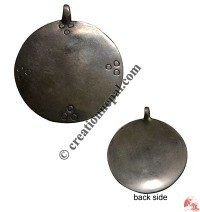 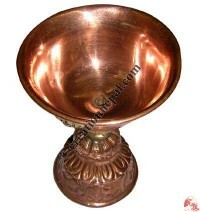 You can buy some of our butter lamps and pooja accessories like Silver plated mandala, Small size Melong, Stone stetting copper Bhumpa, Copper Ratna Mandala, Plain white metal offering bowl set, Carved white metal offering bowl set, Copper mandala, Aluminum metal offering bowl set, Steel offering bowl set, Copper offering bowl set, Plain brass offering bowls set, Brass offering bowls set, Butter lamp, Copper butter lamp 7 inch, Large butterlamp (white), Medium butter lamp (white), Medium butter lamp (copper), Small butter lamp (white), Small butter lamp (copper), Plain large butter lamp, Plain medium butter lamp etc. 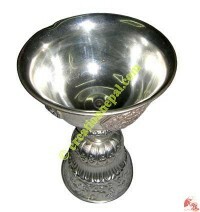 in wholesale online. 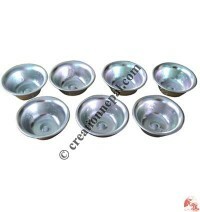 As an awareness, the butter lamps and the butter candles are sometimes making fire at the temples or monasteries and homes because of improper way of use of the offering accessories. 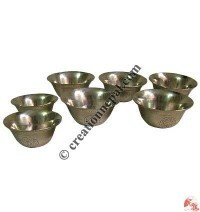 Hence Creation offers the safe light offering butter lamps with adequate length of beautiful stand on the Tibetan butter lamps online at reasonable wholesale price.